If you wish to meet success in exams the first thing that you need to do is make sure that you have enough time to study. Create a schedule of study that would suit your needs and requirements the best. Make sure that you have not left anything for the absolute last minute. There are some of you who do well when they study at the 11th hour. But you can be sure that this is not the best way to get ready for the exams ahead. It is always better to plan well in this regard and organize yourself. You need to chalk out the number of exams you have and the number of days at your disposal. Then you can form a plan keeping that in mind. If you wish to be successful in exams this is something you need to do as well. Your study space should have adequate space for you to be able to spread your books and notes around. It is also important to make sure that the room is well lit. Your chair should also be good enough to provide you with the kind of rest that you want. These are points that you need to consider in this particular context. Make sure that there is nothing that would distract you from your studies. It is better to always remove them beforehand. It is also important that you are comfortable in your study space. You can be sure that this way you would be able to focus a lot better on preparing well for a successful exam. There are several ways in which you can do this. It could mean studying in total silence or while listening to music. You may be someone who likes to focus while studying. It could also be that you are someone who prefers to study in a cluttered manner. The bottom line is that your study space needs to be something that you like. It should be a pleasant and friendly one as that would allow you to concentrate in the first place. When you are revising your study material it is very important that you use visual aids. This is because they can be helpful in this particular regard. When you are starting a topic you need to write down all that you know about the subject already. Even as you get closer to your exams start using revision notes in the shape of diagrams. You can be sure that these visual aids would help you remember your material. This would help you get ready for your exams in the right way as well. This would be of great benefit during the exams. One of the best ways in which you can get ready for an exam is to practice writing your old exams. 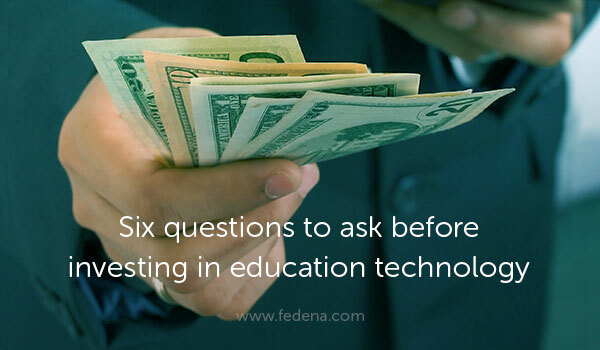 The old tests would help you get a proper idea of the kind of questions that you are likely to encounter in the exams. This is the biggest benefit of these old tests. You would also know what to expect in these cases and that can only be good for you in the end. You would also have some idea about the kind of time that you would need to write the actual test. You can also take the help of your near and dear ones such as family and friends to do well in exams. You can always explain to them the reasons why you have answered a question a certain way. This way you would be able to clarify the concepts, revise them, and remember them as well. This, in turn, would help you during the exams as well. When you form study groups you are able to get all the answers that you need. You can also complete all the tasks in a much shorter span of time as well. All you need to do in this regard is to make sure that your group is also focused on the subject that you are studying. It is also important that they do not get distracted. Your brain needs to take breaks on a regular basis to get back its focus. You may think that studying for long hours is the best way to get ready for exams but you could be wrong as well. This is because it is impossible for most to keep knowledge on a long term basis. The most important part of this process is to come up with a routine that would fit the style of your studying. When you are studying you should refrain from eating any food that is not healthy. You need to make sure that your brain and body are fit at moments such as these. You need to eat food that is natural and fresh, and rich in vitamins. You can be sure that this food would be good for you. It would improve your memory and concentration by a significant margin. Before you appear at any exam review all the rules and regulations in a careful manner. Plan the best possible route for the examination spot. Find out how long it would take you to reach the destination. It is always better to have some extra time in hand in this regard. You would not want to get late for your exam and then have to deal with a lot more anxiety as well. That could scupper your chances of doing well in the exams. When you are studying for an exam or even during an exam as such it is always better to drink a lot of water. It is very important that you remain hydrated at the time of the exams. You can be sure that it would help you remain in a positive mood. Keep all these points in mind and prepare well so that you are able to do well in exams. Today, parents across the world are realizing that while competition in schools develop self-discipline and drive in students to achieve more. But this competition in education needs to be purposed and packaged in a way that encourages the slow learners instead of taking away their confidence. Healthy competition in schools helps the children learn more about themselves and their motivations. Small businesses can find a loyal customer base online. They could also explode and become a massive retailer. The power and potential of online activity are enormous. The number of people online grows every day. 8 in 10 people in the United States shop online and the half (and growing) of the world is on the Internet. Having an online presence isn’t just a supplement to your business, it is a business. The first thing that any small business needs when building their online presence is a website. The website is the epicentre of all your online presence. It needs to have all the information your visitors need, it needs to be aesthetically pleasing, and it needs to work. You also need to implement an e-commerce platform onto your site as well if you’re planning on ever selling anything, whether that be products, services, or subscriptions. Billions of people are connected through social media. It’s a mistake to ignore the power of social media and the resource that is Big Data. Facebook and Google are two of the biggest advertisers in the world because they have information that can make your advertising campaigns more effective. They do this by allowing you to advertise only to the people who have expressed interest in your niche. If you aren’t on the first page of Google, you don’t exist. The first step to increasing your ranking on Google is to make sure your website is fast and that it has great content. The second step is to increase the number of people linking to your site. You must do this the right way, however. So-called black-hat operations will get you banned from Google. The end game is not to get new customers coming in every day. The end game is to have a dedicated and loyal customer base who will return over and over again. Word-of-mouth marketing is powerful. Being recommended by your customers means that new customers will come to you because their friend claims that you are trustworthy. That is why customer service is so important. Engage with your audience, respond promptly to every complaint, and, most importantly, care about each customer as an individual. To stay updated, and to keep yourself in the eye of your customers, you need to produce or share content consistently. Share relevant content, like customers’ photos of your product, or news articles about your brand, or content you’ve created. Make sure it’s engaging and offers insight and value to your audience. The best advice for small businesses to turn their online presence into a success is to use a marketing agency. Eventige.com offers all the services you need to have a strong online presence that gives you results, from marketing to web development to branding. It’s always better to use professionals to help kick start your online business than it is to learn as you go. Often as a reseller or a partner, it becomes a very difficult task to reach out to the right audience in the education market. Marketers often wonder which channels would be the best way to reach out and attract their audience. One of the most effective ones being email marketing. 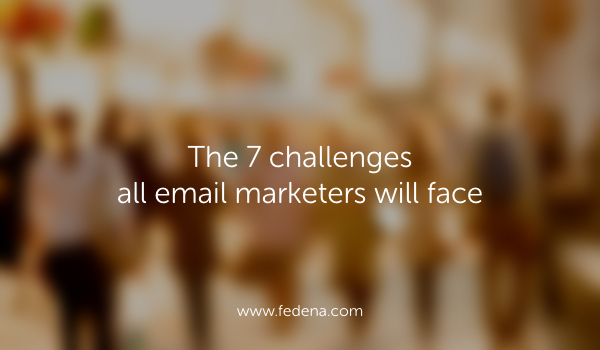 Here are 7 challenges that will help you prepare for your email marketing campaigns. Email marketing can be one of the most effective modes of customer communication. However, to deliver engaging messages time and again, many marketers are forced to juggle multiple tasks, while focusing on the next campaign. For this reason, Campaign Monitor surveyed hundreds of marketers at growing businesses to identify both their email marketing goals and challenges. The results found that most marketers face 7 similar challenges when creating marketing emails, which you learn more about in the informative infographic below. For example, 58% of marketers stated increasing engagement rates is their company’s number one goal. 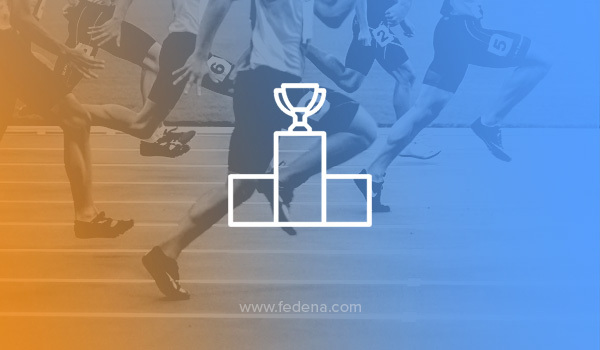 While 44% of participants admitted it was also their number one challenge. Any successful email marketer will know the key to increasing customer engagement is through relevant, targeted information, which can be created through segmentation and personalization (emails with personalized subject lines can increase revenue by 760%). Different marketers will face different challenges. Many believe customer acquisition is their number one challenge (35%), while other companies may face the hurdle of retaining customers (18%), improving email personalization (36%), or boosting brand awareness (24%). For a company to achieve or exceed their goals, they must develop a solid email marketing strategy to overcome their marketing obstacles. Although there are many challenges to overcome, 84% of marketers would say their email effectiveness is growing, with 30% considering their email marketing strategy “best-in-class”. Check out the infographic below to identify the biggest email marketing challenges your company may face. As a school, data protection is a major part of keeping your children and family safe; protecting their information. You have to ensure that you are fully compliant with the Data Protection Act, and that you follow the principles of the act to prevent accidental disclosure. Are there ways that you can improve your data protection? Can modern technology and the internet help you to control your data more efficiently? The school collects a lot of data regarding pupils, teachers, and parents along with information concerning health and safety and child protection. A lot of this data is personal information, and some of it will be sensitive. How you collect and store this information is what the Data Protection Act seeks to control. The school is responsible for controlling their own data in a safe and secure manner. To make sure that all the guidelines are being followed, and to prevent any accidental breach, there has to be a clear system of how data is recorded and used. This is usually completed on a computer with the time, date and person who handled the information. Although computers are excellent at recording information, they can be vulnerable when it comes to storing the data. You need to ensure that you have all the appropriate security software in place to prevent anyone from outside the facility gaining access to your systems. Make sure to read all the security features your web hoster provides. Using a cloud-based storage system such as Umbee Hosting can make the whole process of data storage and retrieval much easier and far safer. Information stored in the cloud at remote servers is more secure that localized computers because they have strong firewalls and security software in place. Another plus is that it can be easily and efficiently restricted so that only authorized personnel can have access to the data. However, they can still access it wherever they are, making processes more flexible and easier to use. Although the Data Protection Act is there to protect personal data, everyone has the right to see their information. Pupils and students can access the information through Subject Access Requests so that they can see what data the school holds about them. These requests have to be dealt with carefully but efficiently. Having your data in the cloud means you can get access to it from anywhere. This could be vital if the data were needed as a matter of priority. Information regarding medical history or child protection could be retrieved and sent electronically so that there was no delay if there were ever an emergency. Making sure that the personal information you hold is safe and secure is incredibly important. 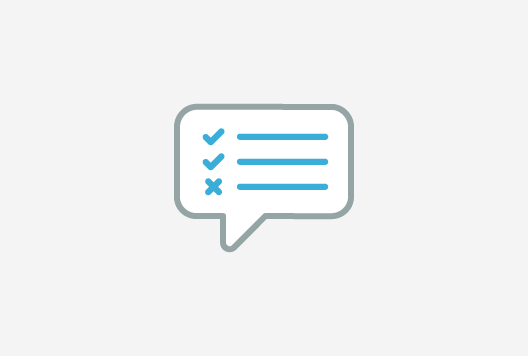 It is always a good idea to review your processes routinely to make sure that all the guidelines are being followed and you are still compliant. By following the procedures and ensuring only the right people have access to the information, it will make personal data in schools more secure. 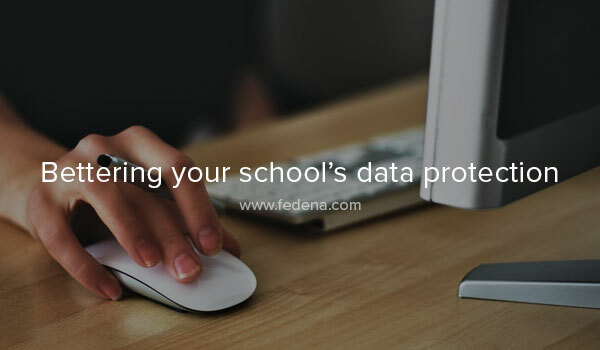 Or you could always hire Fedena, the number one school management system, your school data is always secure with us. Are you thinking about developing a new website for your school or college? Having this online facility is an effective way to communicate with parents, current students, future students, and past students. However, there are certain factors you should be aware of before you decide to start this type of online project. Before you can start to add content to a website, there are some technicalities you have to deal with first. You have to decide what to call your website and purchase a domain name that features that website name. Once you have the domain name you want, you need to purchase a smart hosting package where your website will be stored and where you can set up email addresses for your school or college. The hosting provider should be reliable and fast so that your visitors have the best online user experience possible. Choosing the right platform for your website is the next important step you need to take. If you intend to simply use your website to update people and publish content, a blogging platform should be sufficient. However, some schools and colleges want more functionality than that and opt for some kind of Learning Management System. However, these systems can be complex in nature and you need to be aware of the additional support these systems require. Someone with a technical background will be required to create your website. Before you hire anyone to do this type of work, check their previous work, make sure they offer a competitive price and provide adequate technical support. When you have installed the appropriate platform, you have to decide who will maintain and add content to the new website. You can do this internally by getting staff members and students to contribute or you could hire an external content creator to do this work for you. In most instances, it’s a more affordable and practical option to get people involved who are directly associated with your school or college. Like any purchase or investment, you have to understand fully how much a project like this will cost. 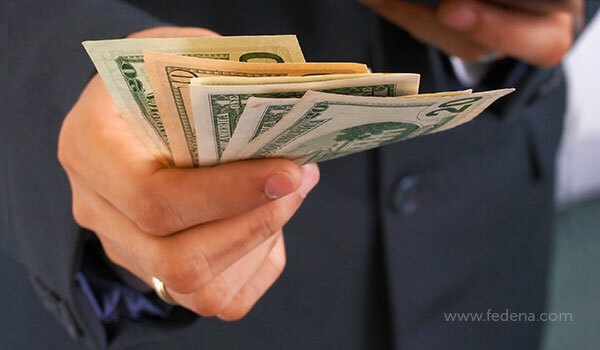 Prices vary, depending on the type of platform you install and the amount of ongoing support your website requires. This is why it’s essential to be aware of all of the costs associated with this type of project before your school or college goes ahead. Most school and college websites feature news and information about a large number of people. However, you should ensure that you set down certain rules that people have to follow when it comes to publishing text, images, videos and other content. If possible, you should also avoid storing personal information about students, staff, and other individuals that could be used in a harmful way if it gets into the wrong hands. 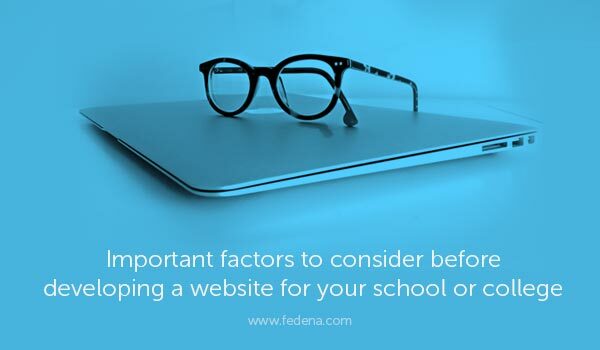 A website is a valuable asset for a school or college. However, you need to plan and be aware of all of the points above before you finally decide to go ahead with this type of project. For every school or institution, one of the most important building blocks is their communications. How admins communicate with each other, how the management is able to communicate to the faculties, how the school is able to communicate with parents and students. In this day and age of information, WhatsApp and the internet, almost everybody wants information to be communicated to them instantly without any delays. And in such a busy world how are schools to stay ahead and relevant. SMSs keep parents & students informed about your institution. You can share urgent information about emergencies, fee collection dates, examination dates, let people know about an emergency holiday, availability of transport, or invite them to events. There are many applications to SMS services for an institution. In a class of 60 students, there are students who are absent for the day or for the first hour and need to be filtered out of the register so that an SMS can be sent individually to the each of these absent students and their parents only because you have a separate SMS vendor application. The work that needs to be done here is time-consuming and at most times isn’t a notification which goes out instantly to the parents. 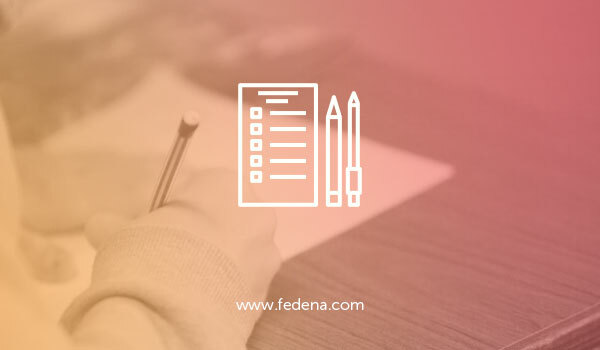 By integrating the SMS packages with Fedena, the teacher can mark the student absent in the system and an automatic SMS will be sent out to the concerned parent notifying them about the absence of their ward from the school. 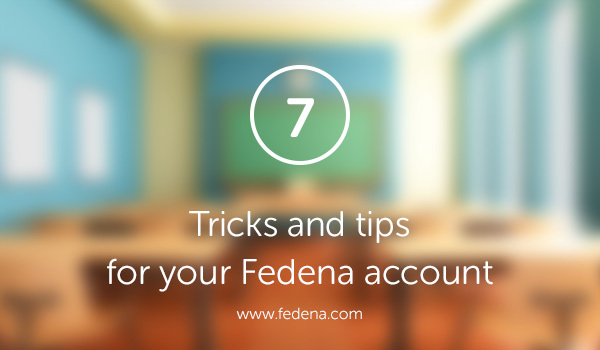 If the teacher doesn’t have the time or access to the system while in the class, any one of the admin staff can mark this in Fedena from the register even before the first period of the day has ended. It isn’t any more of a surprise that almost all the students in the school have a mobile device of their own. More often than not, classes in institutions keep getting cancelled, swapped out for various reasons. In colleges especially, whenever a lecture is cancelled or swapped with some other lectures, the students get to know only when they arrive. With the SMS settings in Fedena, now teachers and admins can notify students immediately of the cancellations and swaps by sending the students an SMS in time, allowing them to be prepared for the right lecture. Unforeseen circumstances can demand the management of the institution to take decisions and circulate information to the students at the earliest. For example, due to a sudden rise in temperature this year the government asked schools to shut down. Informing parents and students about this emergency holiday is a matter of high priority so that their time isn’t wasted. 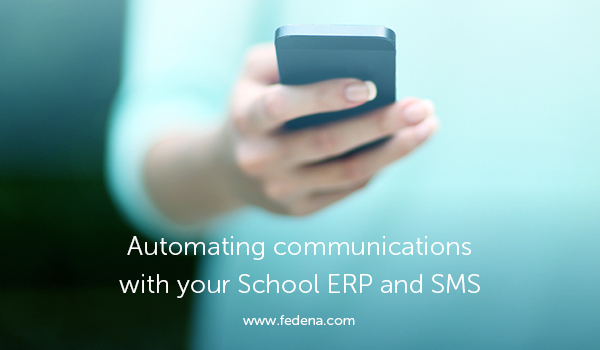 A simple manual SMS sent using Fedena school ERP will help your institution get the message out as soon as possible and on time. We cannot stress enough on the importance of having an SMS service for your institution. Especially if you integrate it with Fedena. Most of our clients are already benefiting with our SMS packages. Our starter pack includes 1 Lakh SMSs with unlimited validity @ only 12p/SMS. Every school ERP implementation boils down to the same old thing- “The correctness of the data”. The more concise the data in the ERP the better it performs. And just like the way the human brain implements knowledge acquired from vicarious training, school ERPs take data and give you insights you need the most. Having understood the relation between ERP and data, the school admins try a lot of different things to get the best out of ERPs used in schools. If you are the school admin, you never know which report you may be asked in the next meeting with your school management. 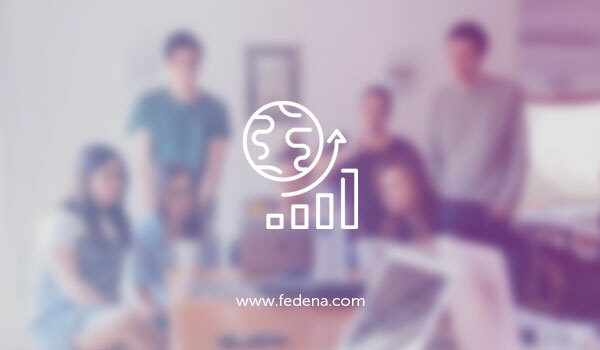 So here at the support wing of Fedena, we make things simpler by giving our users tips and tricks for a successful implementation in all of our customer interactions. Imagine a Scenario, when you are asked to re-assign user Privileges of all your employees at a go in the next hour. 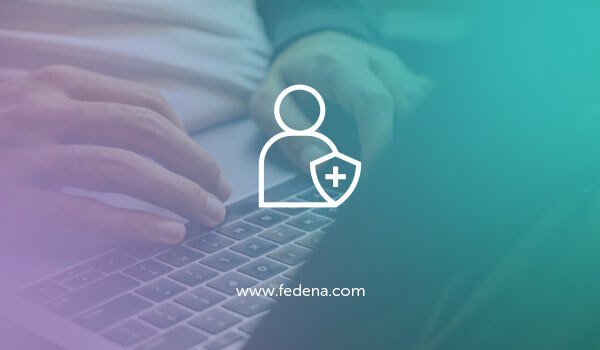 All you need to do is make use of the Bulk edit feature of Fedena by merely entering the employee usernames and entering NULL for the respective privileges in your CSV file before clicking Bulk edit next to your Export in the Custom Import module. It is often observed that while printing the Fee receipts in the Schools, the schools spend a hefty amount on A4 size papers. Needless to say, Fedena offers an A5 mode to print these Fee receipts. And how do you get an A5 size paper? Just cut your Regular A4 size paper into two equally sizes while in portrait mode. Since A5 size is exactly the half of that of A4, this can cut the cost of printing Fee Receipts by half. Stop wasting paper and start saving trees (and money). In an Institution with a healthy number of students and elective subjects, it becomes difficult to track students who have opted for a particular elective subject. In such a case, the subject details in Data and Reports from Home > Reports > Subject comes to the rescue. The user can select the batch and proceed to check the option elective subjects to get the exact number of students enrolled in the subject. We all know, how the allocation of Labs are managed in our Institutions. For instance, when group A has Physics lab on Tuesday, group B of the same batch can have Chemistry for the same period and vice versa on some other day of the week. In such cases, the elective group options help you in managing this while setting up timetables for the batch. Please follow our detailed article on this to know more. The Fees counter of the schools have always been on the radar of the finance department in the institution from the beginning. It is one of the daily chores of the cashier to let the department know the total cash collected for the day. In such cases, the cashier can opt to use the Finance receipts option from Home > Finance > Finance Reports > Fee Receipts > Advanced Search and select the relevant cashier name to extract the CSV file containing the payments receipts generated for the day. Can it get any simpler? The Teachers often ask the students to visit a particular website of educational significance for a detailed research. Just consider how easy it would be for the users, if students visit Fedena and the website of the day is already on the Appframe section from Home > App Frames. Click here to set it up for your students. So, Sign up for a quick Fedena demo here to see how this happens in real time scenarios. You can thank us later. In an era of employing best practices in Data Analytics, it is important for people to update the information at hand and efficiently use it. The core functionality of any institution is to organize and manage information available. In such scenarios there is no hindrance when the data to be managed is small. However, when handling large information, institutions often lose valuable resources and time just to manage the system. Over the years, institutions across the globe have been trying hard to look for an ideal solution to implement a process to manage massive data and mechanism to update them. 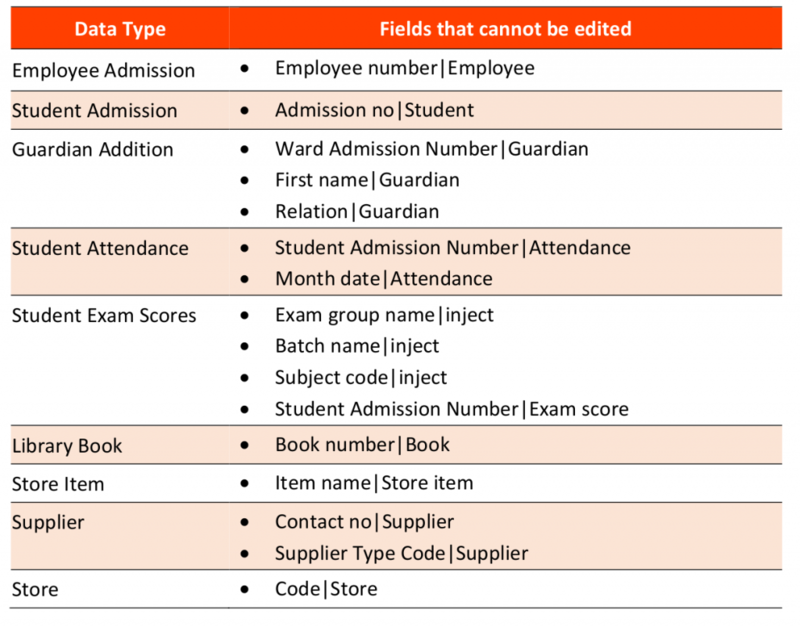 In most of the institutions that we observe, we find that during the initial phase of any data entry process, information is not completely entered due to unavailability of information and time restraints compelling admins to upload only the minimum information required. Subsequently, when a requirement to upload the remaining additional information is at hand, the process becomes tedious as the admins have to remember each category or folder that they have created and update the remaining information. 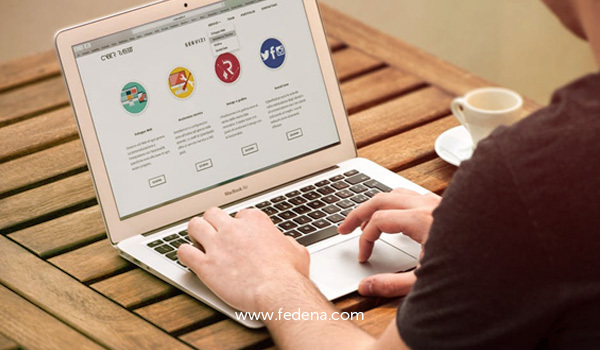 Fedena, a school ERP, has always understood such requirements and comes with a feature with the option of importing data. 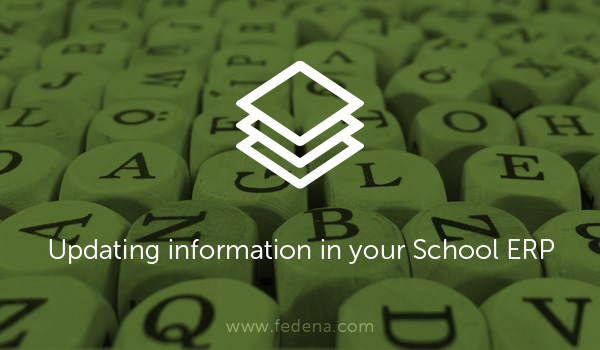 With the Custom import feature to import data, Fedena also allows admins and teachers to edit large information using the bulk edit option to handle updated information efficiently. This bulk edit feature proves useful when changes need to be made to multiple records that were uploaded through Custom Import, allowing the user to either make the changes in Fedena or perform a bulk edit. 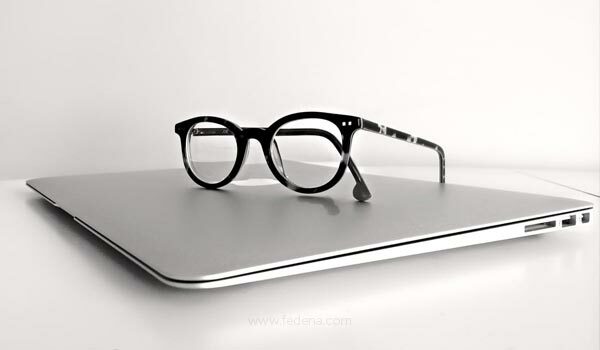 The ease in updating data in Fedena is because of this technique adopted. The user is only required to enter the information required in the file and use the bulk edit option. The information here can range from few lines to hundreds of rows. The basic functionality of the feature involves mapping existing records with the fields and information in the CSV file. Many institutions have often come forward after using this feature to tell us how data management has improved in their system, in return allowing them to focus on other key aspects.